Xeoma is an easy to manage IP camera software that all users, even without special training, can manage. Still if you are tech savvy, and your surveillance goals are sophisticated, it may be useful for you to know its technical idea and principle of work. First of all, when you get Xeoma Video Surveillance Software, you get it in an executable file form. Xeoma webcam app is based on Client-Server architecture. It means that there are 2 parts of Xeoma Webcam app – Xeoma Server and Xeoma Client – that build its architecture. Server is processing cameras and other sources and basically does all the automated work while Client is used for viewing, as CCTV viewer, and interacting with server. When you run Xeoma IP camera software with this launcher, you run both Server part and Client part. Server is working in background and Client is what you see as main Xeoma window. First dialog you see is Client trying to connect to the Server. Don’t panic, it just searches for the server part of Xeoma on your PC. 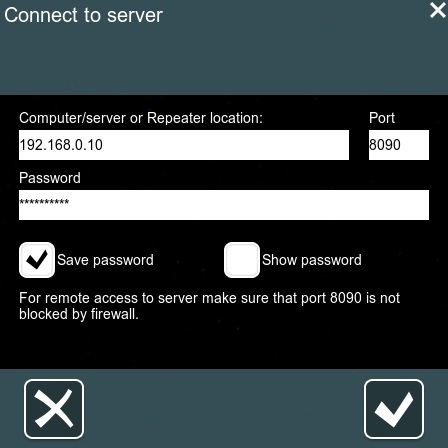 Later on, when you use remote access, you will replace this address with IP address or Repeater location, but it is very well told about in our other article telling you about easy remote access provided by Xeoma webcam app. In remote access, you will use client-server architecture to connect to the server with any number of client part from any place in the world. No matter in what mode you use your Xeoma, it can work either with or without being installed on your PC. The difference is that if you need Xeoma to start automatically at your PC’s every restart, you need to set it to autostart – either server alone or with client part. To do that, just check boxes in installation menu. Note: ‘Hidden mode’ and ‘Client autostart’ are mutually excluding options because when you need stealth surveillance you wouldn’t want Client part to open up automatically at each PC’s start, completely ruining all of the conspiracy you’ve created, would you? Then choose one – either client autostart or hidden mode, or none – if you don’t need it all (for example, if you are not going to work with cameras or recording on this PC like when you are broadcasting some footage continuously to a site or FTP server). If you selected client+server autostart, you will get Xeoma not only running but also opened every time PC is started. 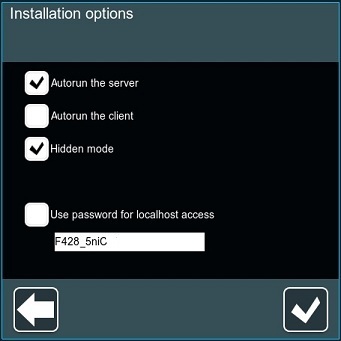 If you selected just server autorun, Xeoma server will start working in background not visible to anyone, and to stop or work with it, you will need to launch cctv viewer (client part). If you selected server autorun+hidden mode, all launchers will be removed from the desktop, and you will need your launcher to connect to the server. When you ticked desired installation boxes and clicked OK button, server will be installed on your local PC and restarted so please pay attention – your settings will not be saved if you are using Xeoma webcam app in trial mode. Important: installed server works as service. It can be stopped in Services folder of your task manager, or with a client. Licenses are only for the server part. This is a great news for those who are planning to use remote access feature – no matter how many clients connect to the server, you only buy license for the server. Check the most economical offers for Xeoma licenses at our purchase page.